Today, I'm hanging my head in shame for the thousands of Americans who have been slaughtered by semi-automatic rifles with no consequences in this country. I'm particularly angry with the role that the National Rifle Association (NRA) has played in recent decades. They've successfully stifled any safety gun laws from being enacted with their powerful lobby. That same NRA has recently stuck it's ugly nose into New Zealand's affairs and claimed it's residents have a right to have assault rifles. The response, from former Police Minister Judith Collins was to warn NRA lobbyists trying to interfere in the countries laws; "Bugger off!" 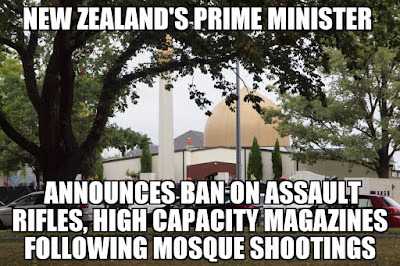 So how was New Zealand, a country of three million with over one million citizens bearing semi-automatic rifles, able to pass legislation so quickly after a white nationalist slaughtered 50 innocent Muslims in their mosques? 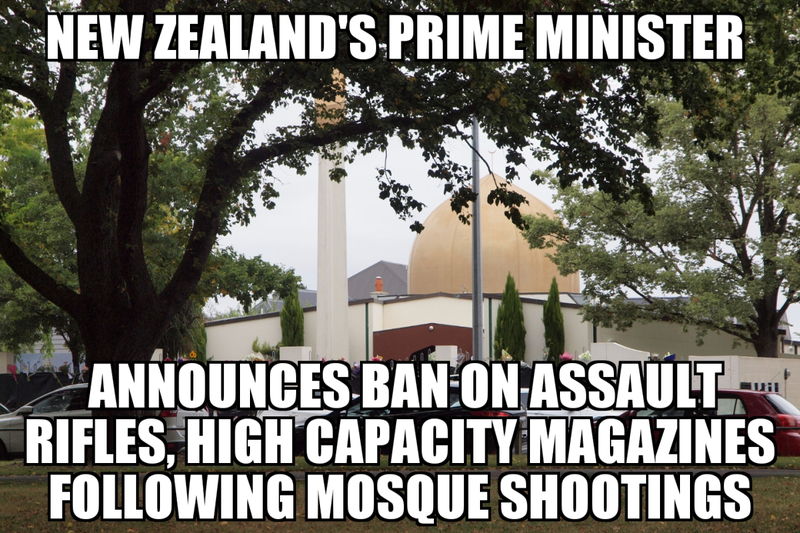 One big reason is New Zealand doesn't have the NRA and their politicians don't have to face the wrath of gun industry corporations acting under the guise of the NRA. New Zealand's government felt empowered to do something to make the country safer, instead of what is least likely to elicit attack ads during the next re-election bid. The NRA's lobbying power has so warped our conception of what is possible that to us, every instance of meaningful gun reform now seems astonishing. What New Zealand did was not astonishing. It was a safe, rational, and sane thing to do. It's really a pity that an organization (currently being investigated for accepting foreign funds (Russia) to help Trump win the 2016 election, has such a sway over our lawmakers. New Zealand is a teaching moment for our republic. The question is, can we learn from it?